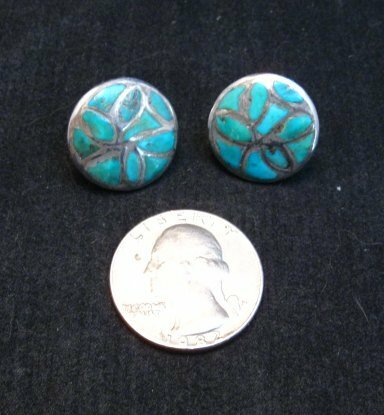 These Native American, Zuni ?, handmade earrings are inlaid with turquoise. The earrings measure 3/4 inches across at the widest point. 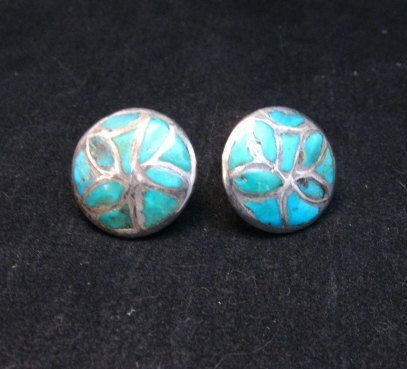 As is the case more often that not with the earlier Native American jewelry, the earrings are not marked for silver content or maker. However, I guarantee that it is coin silver (.900/90%) or sterling silver (.925/92.5%). 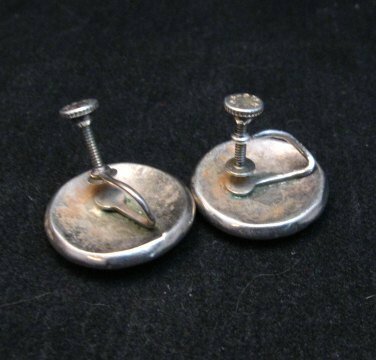 Screw-back style for non-pierced ears only. The screw-back is a bit crooked on one earring but still functional. The earrings date from the 1970-80's.